← May 1 – Not exactly what I’d planned for today. I stopped by my friend’s house today; we’re leaving hubbies at home and taking off for a wonderful conference tomorrow. 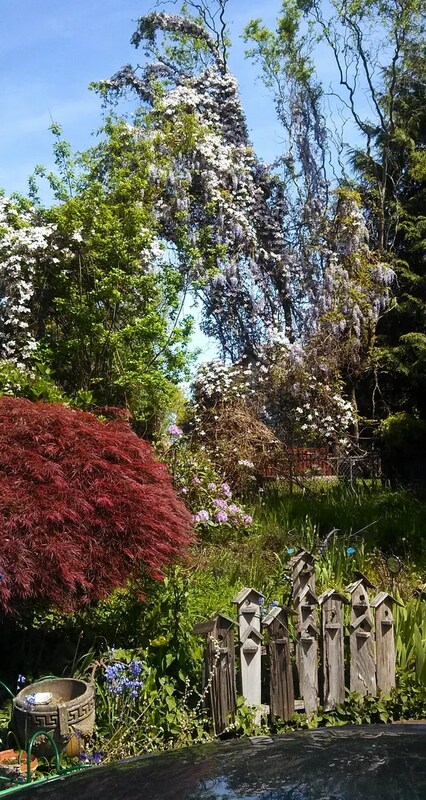 When I got there I spotted the clematis and wisteria crawling all the way up a Curly Willow tree in their back yard. More new growth in a time of sadness about Hinahina…it helps.